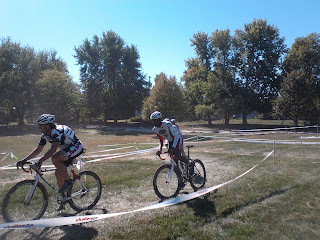 Rick Barrett and John Williams came out to Raytown BMX for Boss Cross 3. It was a great day of racing on a on a very fun and exciting course. 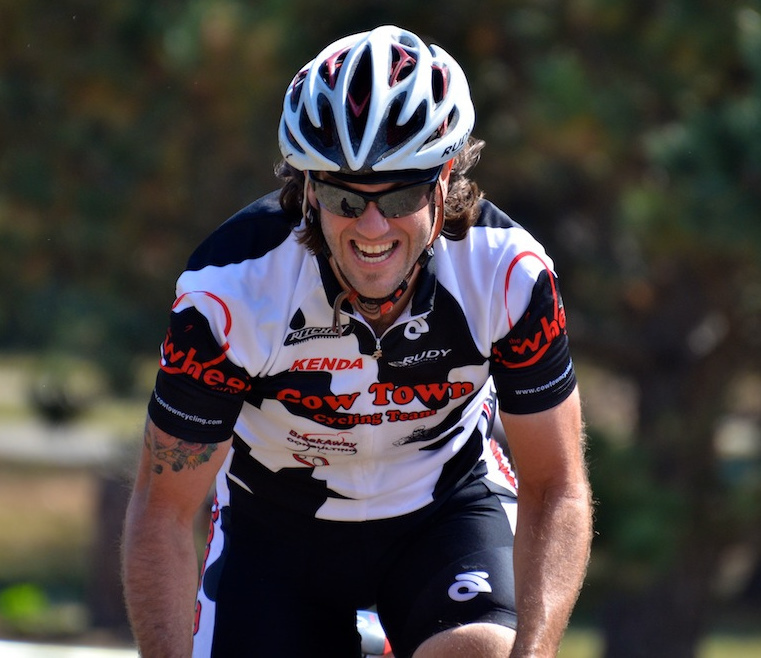 Rick and John worked well with one another to fight the wind and drive the cattle train to 7th and 8th place spots in the cat 3 race. Joules = The work required to produce one watt of power for one second, or one "watt second" (W·s) (compare kilowatt hour). This relationship can be used to define the watt. 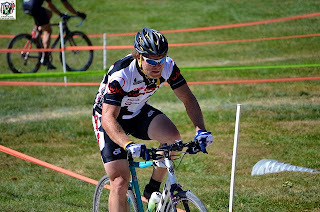 Joules Cross was this past weekend. 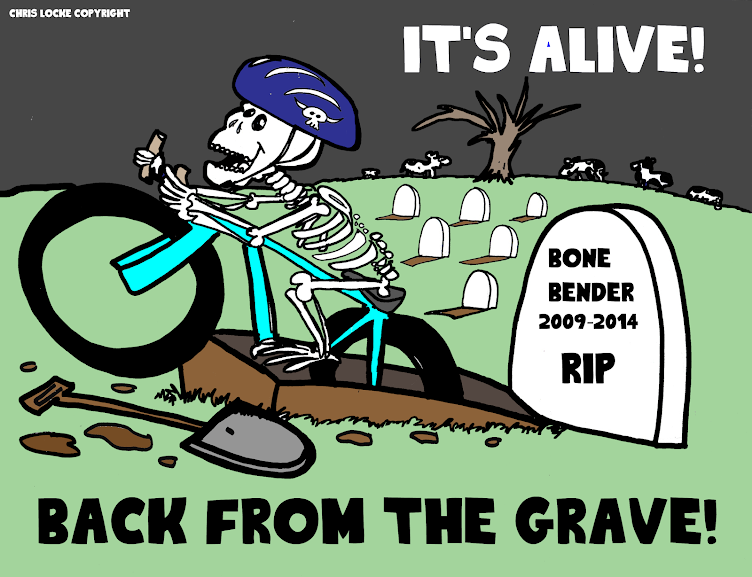 Promoted by Michelle Jensen of the Free State Women's Cycling Team. The event was held on some private land in Lawrence, Kansas. 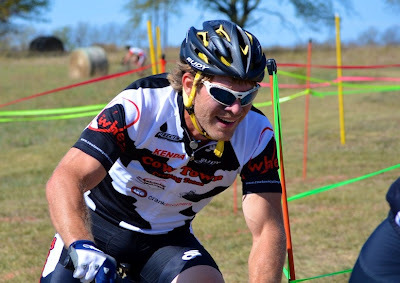 The course was a little bumpy (it is pasture land ), not technical and required plenty of Joules to be successful on the day. Roger Harrison had plenty of pictures from his day in the pasture. Day 1 Pictures. Day 2 Pictures. John Williams used his power to secure 2nd place on the day in the Master's 30+ class. Richard Barrett continues a strong cross season with a 4th place in the Cat 3/4 class. 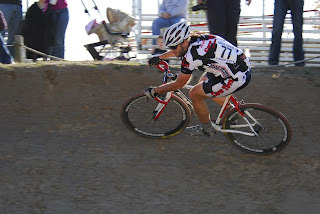 The final points are up for the Unified Federation of Dirt's 2011 season. 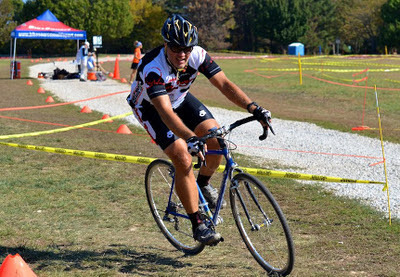 Congratulations to all the series champions including our own Keith Baker who took top honors in the Cat 2 Men 50+ class. Some other great series results by our team include Ashley Blum, 2nd place Cat 2 Men 20-29 (2 event wins); Damian Almanza, 3rd place Cat 1 Men 40-49 (2 event wins); Tim Greene, 4th place Marathon; Sean Gaulter, 4th Place Cat 2 Men 20-29 & Jeffery Arnaud, 3rd Pace Cat 2 Men 30-39. 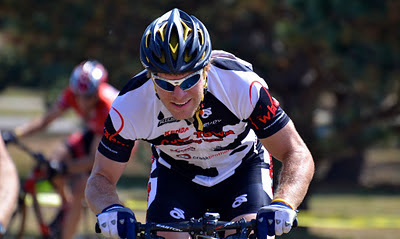 Another successful Cross Out Cancer event was produced by the Livestrong Army team this past weekend. Events for a purpose are always nice to support and this cross race does just that raising over 3K last year. Hopefully the team was able to match that amount this year. Cow Town Cycling had a great showing at the event lead by Rich Barrett stepping up on the podium in the very competitive Men's Cat 3 class. 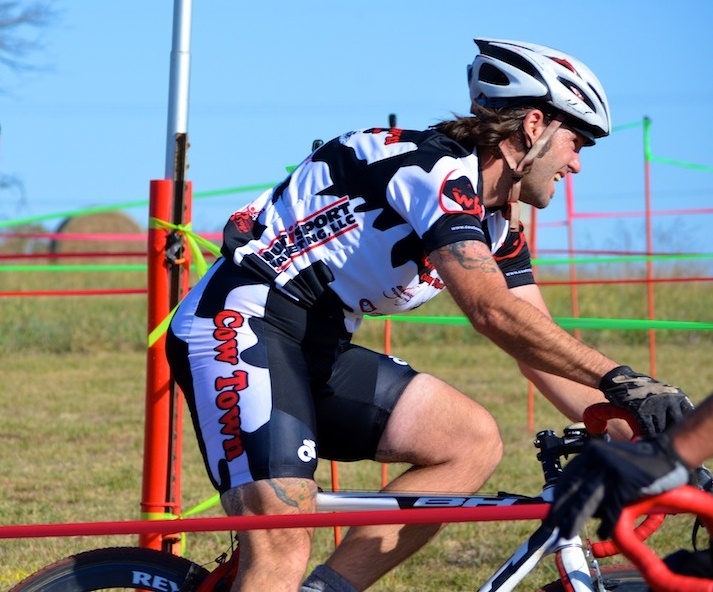 Damian Almanza, John Williams, Robert Tarne, Tim Greene and Chris Locke all put in solid rides. 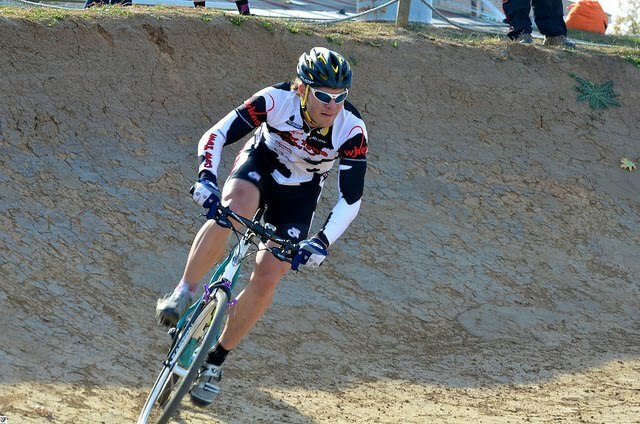 Check out some great actions shots below by Roger Harrison - Cross Out Cancer Pictures. The KCA officials again did a great job and the fruits of their labor are up - Results 2011 Cross Out Cancer Rick Barrett attacked the course to earn a spot on the podium with 3rd in the Men's Cat 3 division. John Williams as always gives it 100% effort. 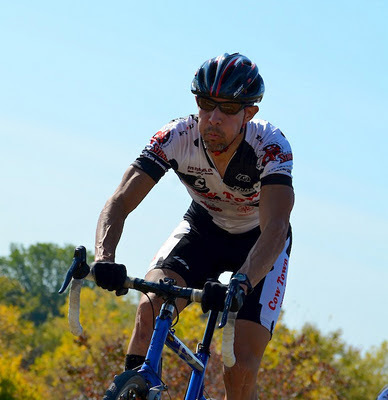 Today he even raced twice in the Master's 35+ and Men's Cat 3 earning solid finishes in both events. 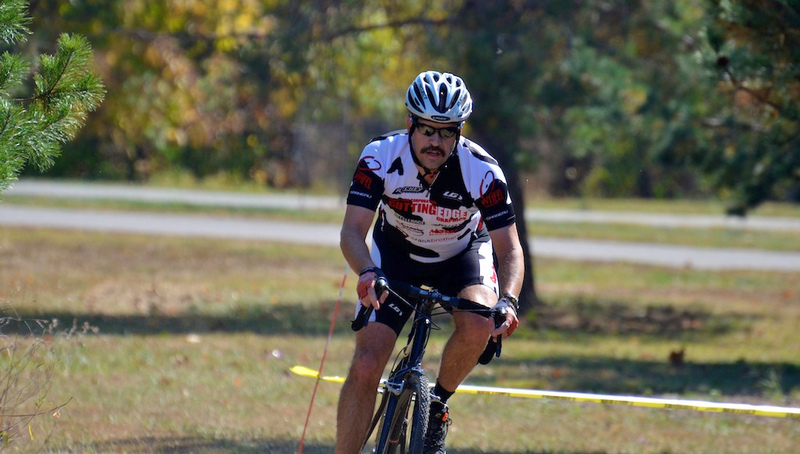 Damian Almanza was up front in the Master's 35+ class, but forgot to breath and fell to 4th place on the day. Tim Greene fresh from his high altitude training in Colorado races hard in the Masters 45+ class. 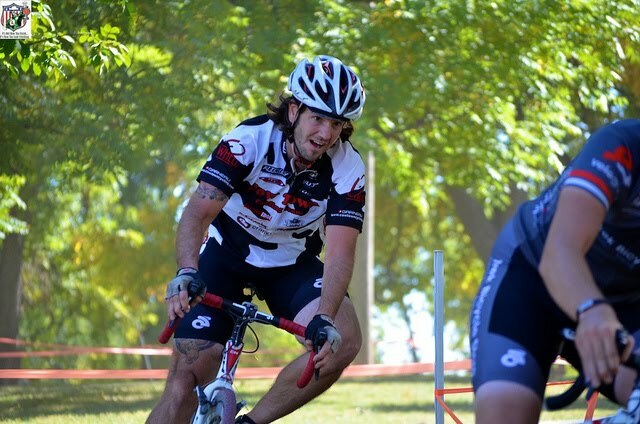 Chris Locke racing hard with the 360 and Local Cycling men. Bob Tarne makes his cross season debut in the Masters 35+ Cat 4 class. This past weekend were the first two races of the Boss Cross series put on by Joe Fox and Jeremy Haynes. 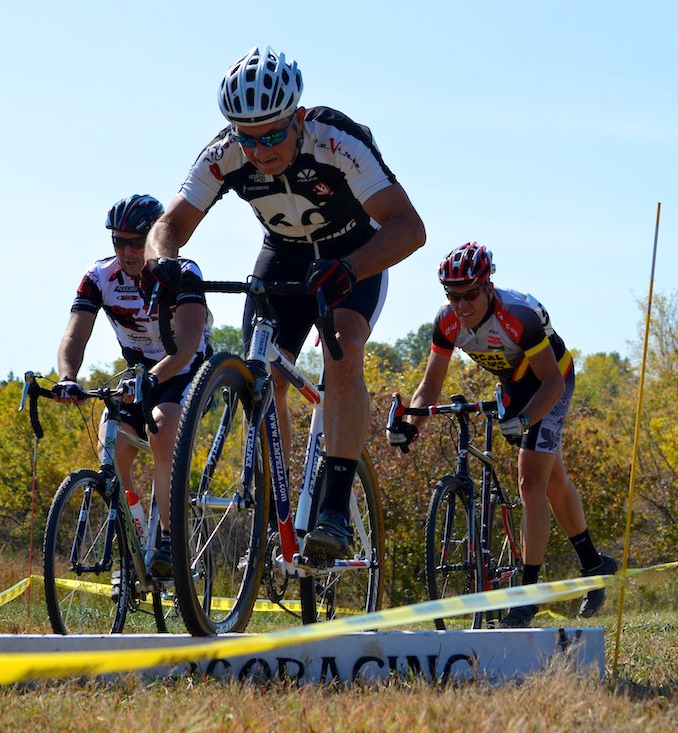 The races were held at barry platte park, which offered all the fixin's for a good cross race. The course was run one way on Saturday and the opposite on Sunday. The general assessment was that Sat. 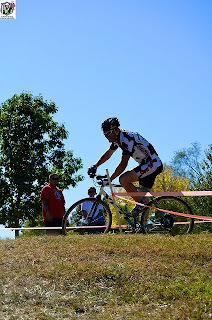 was harder, but either way it was a fun yet challenging course that had all the elements, including two desert crossings that would have Moses himself asking for mercy. Rick Barret an d John Williams represented the herd with top tens on either day. looking forward to the next installments of Boss Cross, which are to be held at the Raytown BMX track. Ashley I hope you are reading this.